A 3-team elimination game based on a starting points system. 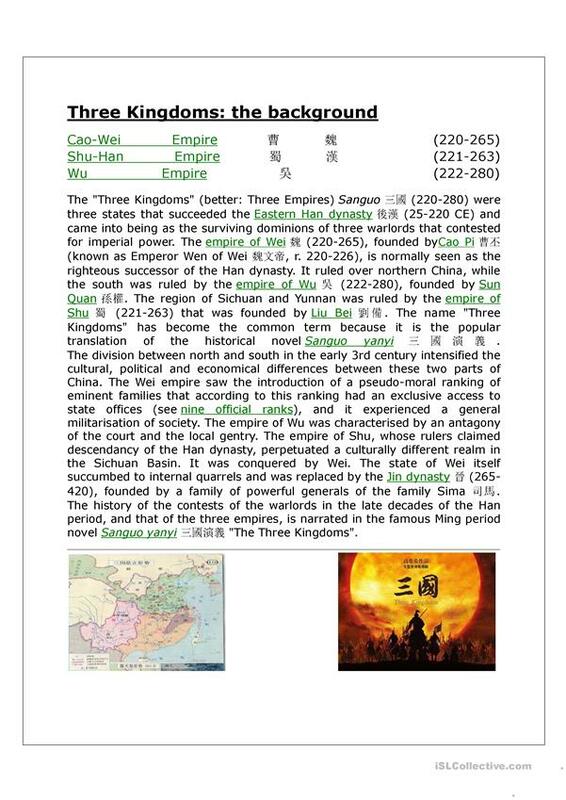 The game is based on the historic fight for control of "the middle kingdom" in ancient China. This game can be played upwards of 6 teams or 30 players. The above downloadable printable is meant for high school students and adults at Pre-intermediate (A2), Intermediate (B1) and Upper-intermediate (B2) level. 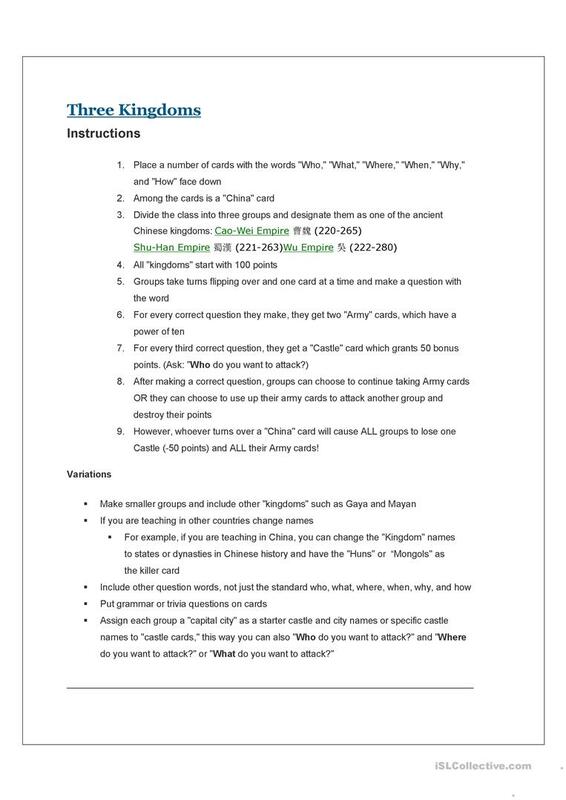 It is great for practising Questions: WH questions (open-ended questions) in English, and can be used for working on your groups' Listening, Speaking and Reading skills.